The group, who have scored 14 No 1 singles in the UK and more than two dozen top 10 hits, play their final show tomorrow (Saturday). Louis, who has steered their career for 14 years, said the performance at Croke Park in Dublin was going to be emotional. He told the Daily Mirror: "Will there be tears from me at the weekend? Yeah. I have never known a band like this and we have had an amazing time." 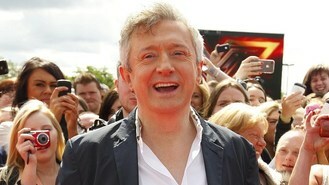 Louis, who has worked as a judge on every series of The X Factor, also said he expected the latest addition to the panel - Nicole Scherzinger - to be a success. He said: "She brings something different and she lights up the screen." The Irishman said he was impressed by Britney Spears, who is working as a judge on the US version of The X Factor, after he met the star when he was drafted in as a last-minute replacement for Simon Cowell on the show. He said she was "a nice genuine girl", adding: "I was surprised how down to earth she was."